Historical novels in the Library? This post is directed specifically at the Historians, Librarians and Archivists group and The Writer’s Group on LinkedIn to ask a question of expert group members. My novel was published on 1st October this year and although it is a work of fiction I have tried as far as possible to stick to the historical facts of the Lincolnshire Uprising of 1536 and events before and after. It is not an academic work, but I did much more research over a much longer period than I did for my Master’s, by research, in Marketing many years ago, so I am pretty confident it is soundly based, though I have, in some areas, taken occasional flights of fancy for creative effect. My question is this:- As an Indie writer, are there specific things I need to be doing to get my novel accepted into Libraries as opposed to selling direct to the public? a) Is there a minimum position on the best-seller lists which one needs to achieve before being considered for libraries? 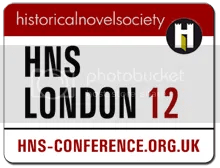 c) Do historical novels ever make it into the academic libraries of schools, colleges and universities… well, I know some do because I have seen them there, but the question is, perhaps, HOW do they get there? For general information I flew from Brazil to England to do a series of book-signings in Lincolnshire on and after the anniversary of the uprising, which started on Sunday 1st October, 1536. On the way back to Brazil I called in on New York to launch the book in the US and did a series of radio interviews and a couple of book-signings there. I have a Blog, the book has a website, soon to be getting upgraded, and I have positioned myself on Facebook, Twitter and, of course, LinkedIn. All of which is simply to show I am serious about getting my story “out there”. But, as far as Libraries go, what else do I need to do? I would very much appreciate comments and advice. This entry was posted in Captain Cobbler, Lincolnshire, Tudor Times and tagged Novels in Libraries. Bookmark the permalink. 1 Response to Historical novels in the Library? I can relate as I’ve written a monograph aimed at library and reference markets. When I began the process about three years ago I though of a “review” as a thousand-word essay in the New York Times book review, and scorned the perfuctory one-paragraph summaries I saw posted in such places as Midwest Review, Booklist and Library Journal. I was dead wrong. Number one, the Times and other big city organs are really more of an extension of the book trade (some would say too much an extension) and a clue to that is their requirement that a book offer trade discounts of at least 55%. Number two, the reason that the so-called perfunctory review might be just what you want is that librarians are incredibly busy people who actually have no time to read books to see if they are viable for their collections. They rely very much on Midwest and other reviewers. Number three, academic, professional and local libraries are just as likely to want your fiction title as they would a thesis because they need to serve their constituencies. The idea is to promote reading in all forms, not just research. I agree with the statement by Elizabeth that the more reviews, the better. But Nicholas is giving good advice, too. Libraries prefer an easy way to order, and the easiest is through an established distributor they already have a relation with.